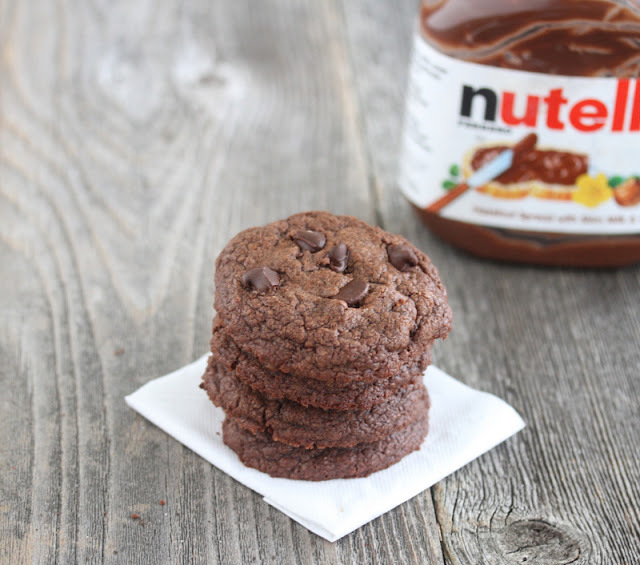 These Nutella cookies are just 4 ingredients and the easiest Nutella cookies I’ve ever made. And they are good. As in super rich, fudgy in the middle, good. As in you can whip these up, give them to your friends and pretend you labored over them for a few hours, when in actuality they took about 15 minutes, including baking time. Yup, less than 5 minutes to make the dough and 10 minutes in the oven and then they are ready to go. And they are only 4 ingredients. This recipe is going in the top of my pile of cookie recipes. When these came out of the oven, I was so excited. You know how sometimes you just know something will taste good even though you haven’t tasted it yet? Well that’s the feeling I had after I took a peek at these while they baked. And my feeling was confirmed when I bit in. I didn’t even let them finish cooling, which actually is the best time to eat them anyway, since the chocolate chips are still melty and the cookies still warm. Though they taste great after they are fully cooled too. 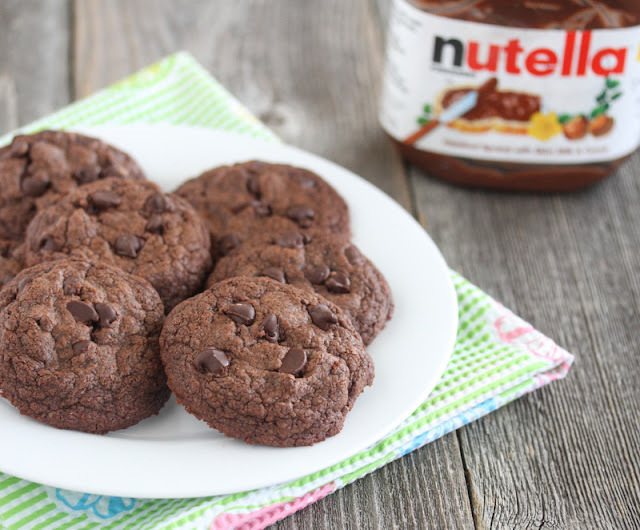 I came across this recipe for an easy Nutella cookie on Cannella Vita. I realized that it looked very much like a previous three ingredient Nutella cookie I had made that’s been passed around the food blog world. While the three ingredient Nutella recipe was easy, it wasn’t my favorite cookie. 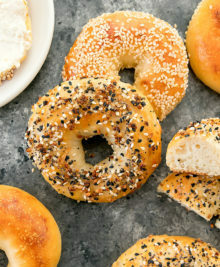 This blogger had modified the recipe, reducing the flour, which really helped with the crumbly dough issue that always happened when I made the recipe. I don’t know why I didn’t think of it. I adapted the recipe further, playing a little bit with the ingredients and cutting down significantly on the preparation time. I’m loving this recipe. I made one batch, practically ate the entire batch by myself in one weekend, and am excited to make another one soon. Update: I recently changed this recipe slightly, making it even chewier and the structure a little more sturdy. It’s still just as easy. Check it out here. If you love Nutella, I have a whole collection of Nutella recipes. I also have a category of easy recipes with 4-or-less ingredients. 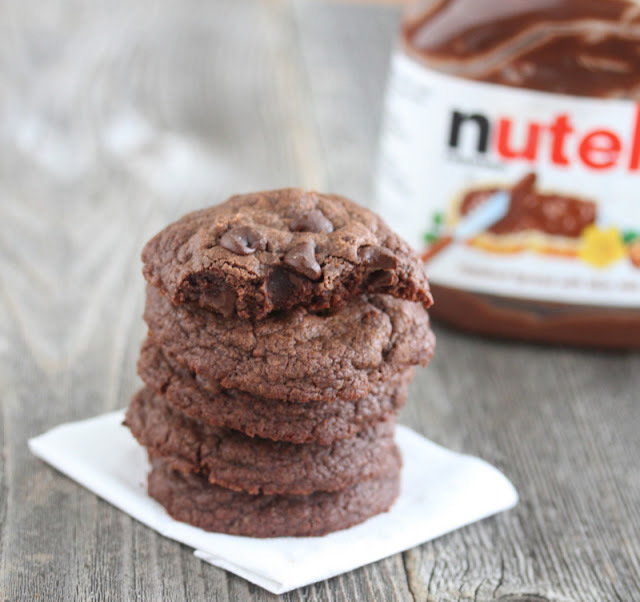 These Nutella cookies are just 4 ingredients and the easiest Nutella cookies I've ever made. And they are good. Preheat oven to 350°F. Combine flour, egg and Nutella in a large bowl and mix together with a spoon until dough comes together and no flour lumps remain. Stir in chocolate chips until evenly mixed into the dough. Make dough balls, about 1 1/2 inch in diameter. Place on cookie sheets, about 2 inches apart. Press down slightly on dough so the dough balls are more like very very thick round disks rather than perfectly round balls. Smooth edges that may have cracked from the pressure of pushing down on the balls, so that you have thick round smooth disks. Bake for about 10 minutes. Cookies should be mostly set, but might be slightly still soft in the middle. Let cookies cool on rack until completely set, otherwise they might fall apart when you try to remove them (about 30 min-1 hour). Wow, so easy! I’ll give these a go this weekend! Yes, it’s super simple! Give it a try. Hope you like them! Yum, these look delicious! Can’t believe they only have four ingredients! Yup, they are so easy. Nutella makes everything better! Nutella + Chocolate chips = Happiness! Yum! Lol. It shouldn’t affect the cookies except that it will be super sweet and the cookies are already super sweet from the Nutella. Do you think this would be good with mint flavored chocolate chips? They’re the only ones we have and I am VERY curious to try this! I guess it depends if you like the combination of mint and Nutella. I personally am not a big mint person, but I can see it working. Do you have to put the semi sweet chocolate in the mixture? I ran out yesterday and stores are closed today. You can substitute for another kind of chocolate chip; I just prefer semisweet because the cookies are already quite sweet. You know I forgot to count! But I believe it was around 12 cookies. They seem delish! Does cookie sheet need to be greased? Or is it ok to just put dough on ungreased one? I always use parchment paper or silpat mat, in which case you don’t need to grease. I’ve actually never greased a cookie sheet before, not quite sure what the results would be. I just made these. Used foil with butter & flour to make non stick. They came out perfect! My daughter made them for her bf since he announced its his favorite and giving him them for vday! Can I substitute the chocolate chips with nuts? Or can I just not use chocolate chips at all? I think using nuts should be fine. I like the chocolate chips because the melted chocolate gives it an extra fudgy taste. Made these and everyone I gave them to, LOVED THEM. 🙂 Hehehe, thanks for always having such bomb recipes that are super easy to make! Yum! 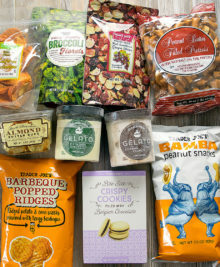 Sea salt sounds like a good addition. It is 1/2 cup plus 1 tbsp. Just made these. So heavenly! I melted chocolate chips and swirled them around on top too…absolutely delicious. Everyone loved them!! I made these and while prepping them I realized they’re very greasy! Is that just me or…? Also, when they were baking there was a lot of that oil. I’m assuming Nutella is just very oily. They still turned out pretty good but I was wondering if this was normal or not. They are a little oily but there shouldn’t be puddles of oil when baking. Nutella does have oil and when it has so few other ingedients, the raw dough balls will be oily to the touch. If it is still kind of soft then you may need to bake longer. It also sounds like maybe you don’t have enough flour if they spread out too much or you added too much Nutella. Make sure it is a very full 1/2 cup and 1 tbsp flour. Also try refrigerating the dough for about half an hour before baking. I didn’t need to do that for mine, but with different elevations and temperatures, you might need to do that. Exceptionally Delicious! Just the right balance of hazelnut and chocolate. Great recipe. One batch made 10 cookies. I was wondering, how many cookies does this recipe yield? Around 12, maybe slightly less. Sorry I forgot to count! Hi! I am a neophyte baker 🙂 I tried making these but they came out flat. Not the taste but the form. No idea what i could have done wrong given such a simple recipe. Could you let me know, please? I followed everything to the letter – I think 🙂 Thanks very much! 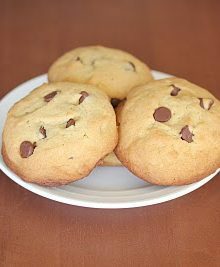 Can i use Dark chocolate chips instead of Semi-sweet chocolate chips? Wow, so glad you have made them so many times. I need to make them again myself. Any reason why I can’t throw all the ingredients into a food processor and pulse till it all comes together? Hi there. I posted this question a few days ago, but it seems to have disappeared. I just wanted to know if this mixture could be done in a food processor? Your thoughts would be appreciated. Sorry for the delayed response. I think it should work in a food processor. I haven’t yet tried, but it seems like it should work. Thanks Kirbie. Will give it a go this week and let you know how it turns out. I just made these as directed and they were AWESOME!!! Ugh…might have trouble keeping them in the cookie jar…! Next time, I might add in some toasted almonds, too! Nice job, very well done!!! I am not sure how long they will stay good for. I’ve only ever had them around for 2 days. I keep mine in an airtight container. The raw dough will be oily because it is mainly Nutella. It sounds like you don’t have enough flour or too much Nutella, which is why they would end up like flat sheets. Hi. Just tried the cookies and made them in the food processor. The dough was done in about 15 seconds!! After reading that some people had trouble with the cookies spreading too much, I did put them in the fridge for around 15 minutes before baking. They are about to come out and I see I also have a little oil around the cookies. I even put in a little extra flour after reading some of the comments. May have to put in even more flour next time. Glad you like them. 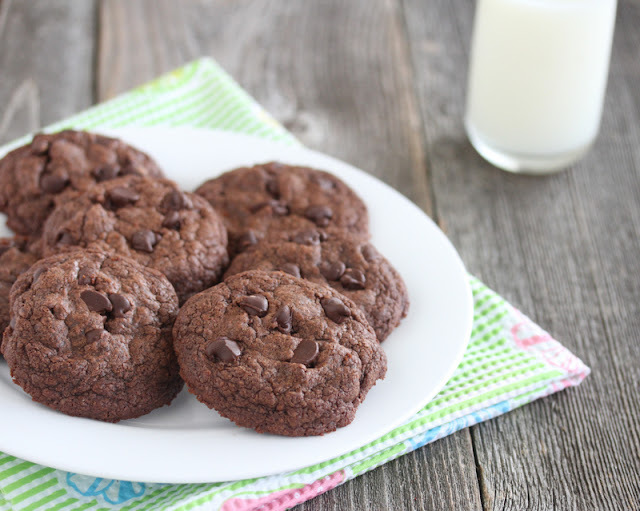 I would try to avoid adding too much flour because it makes the cookies dense rather than chewy and fudgy. Just tasted one of the cookies. They are simply to die for and my chocoholic daughter LOVES them too. Even the thinner cookies are soft, bendable and very chewy. I find them very rich, so can’t cope with more than one at a time. Daughter has already requested a second batch, lol! Thanks for the recipe!! I’m so glad you enjoy these cookies! Yes, though the cookies are a little boring without them. I tried making these cookies for the first time today. They turned out delicious, but not very pretty. I’m not sure if I did something wrong. The dough wasn’t sticky at all; I kind of had to squish it together to make the balls. The cookies seem to have spread too much. The center is chewy, but the edges are a bit thin, quite crispy, and very raggedy looking. Hmm, since you say you had to squish the dough together, it seems like you had too much flour. But then you said the cookies spread too much, which they won’t do if you have too much flour. My edges are also thin and somewhat raggedy depending on how well I shaped them beforehand. You might need to add a little more Nutella if you dough seems dry. And you can dry refrigerating the dough for about 30 mins if you want to prevent spreading. I was wondering about two much flour – but I leveled off the 1/2 cup and the Tbs. There was a little Nutella left in the jar, after I filled up the cup. I thought about just using it all, but I was trying to follow the recipe…since it was the first time. I did use a non-stick sheet, which could have made a difference. I’ll try refrigerating them, next time. However, my family seemed to really like them – especially the crispy edges – so maybe I didn’t do too bad. Oh, the sheet definitely can make a difference. I’ve baked these with silpat mats and different brands of parchment paper and I definitely see a difference. I think the best results are with the silpat mats. I just made these. Ours turned out like flat sheets like I’ve read happened to some others. I guess we’re one of the ones that needed to add flour. My boys didn’t like the taste of the cookies though 🙁 it’s sad because other raved about how delicious they were. You might want to try putting them in the fridge before baking to prevent spreading. Just made these cookies and used M&M Easter egg candy in the center instead of chocolate chips. Delicious! Oooh, how fun! An Easter version! Approximately 1 dozen. And yes I think they are sweet enough without the chips, though I think they look prettier with the chips in them. Looks delicious as heaven, making them now, but how much does this recipe make? Can these cookies be frozen for use later? I have not tried, so not sure. Sorry! I made these a few days ago and they were delicious! I doubled the batch, which made about 20 cookies…The parchment paper really made a difference. Everyone loved that they were chewy/fudgy/brownie like! Yum! So glad everyone likes it. And I agree on the parchment paper. How much does this make approximately? Made these, and while they did spread a bit, it was so much fun to make and were absolutely delicious!! 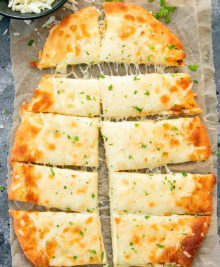 We’ll be making them again soon, thanks for the recipe! You can try putting them in the fridge first to prevent spreading. Glad you enjoy them though! I went to an event the other night for my children’s Civil Air Patrol. 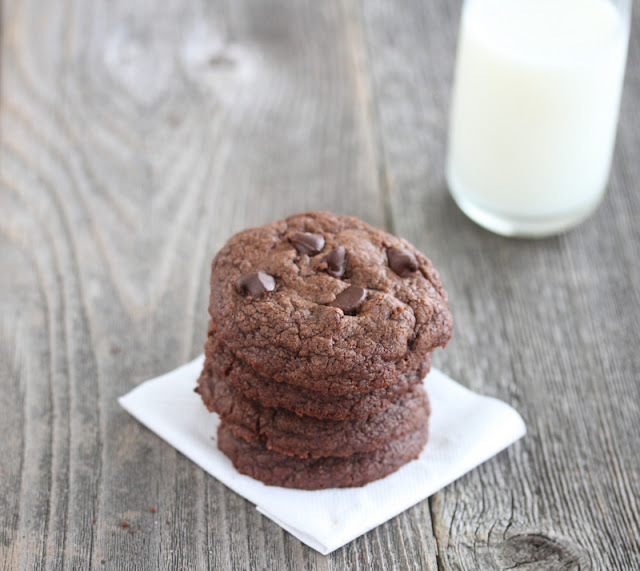 Someone had made these awesomely delicious fudge cookies, and I HAD to have the recipe. They did not look like much, and I am not generally one for chocolate unless it is a brownie, but these tasted AMAZING. 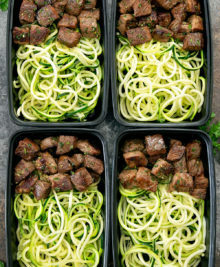 Once I found this on Pinterest, I knew it had to be the same recipe. They are fabulous!! How interesting. Thanks for sharing your story! I’m glad people are making the cookies and sharing. Oh I’ve made some mini nutella cakes using these ingredients too. Delicious! haven’t done full cupcakes before though. These look amazing. I can’t believe they are so simple. Also, I almost never see a person that pretty much responds to every comment on their post, it cool to see. Keep it up. I love how simple these are and I’m glad you like that I respond to comments. I try my best to respond to them all because I feel that if people take the time to leave a comment then I should make every effort to try to respond. So my roommate and I made these last night, and let’s jut say we just go back from buying more Nutella and plan to bake again tonight. They are almost like a brownie in cookie form! I’ve gone through quite a few jars of Nutella making this! Glad you enjoy it! I made these for my husband’s fire station and all the guys loved them! Thanks! Oh nice! Thanks for sharing your experience. This was a very easy recipe, but for the wrong reasons. The one large egg made it taste totally like eggs. Even though Nutella makes everything better, it didn’t seem to save this dish. It sounds like you didn’t have enough Nutella or flour. As you can see from the many comments, it shouldn’t taste eggy at all. Don’t mean to step on your directions, BUT… to those who have problems with the cookies spreading too much or being “oily,” chilling the dough for half an hour before portioning and baking may solve that problem. thanks for adding that suggestion! 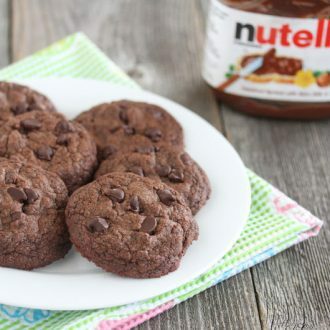 Ugh… My brother asked me if I could make some Nutella cookies after school today and when I saw this recipe I got excited. When I made it originally something wasn’t right, I put some more sugar in the rest but it still was disasterous. Eventually tossed the rest. Sorry to hear that. As you can see from the comments, many people love this recipe. I’m not quite sure where yours went wrong. What do you mean by something wasn’t right? the taste, the texture? Just made these for my Ultimate Frisbee team, many of whom are gluten-free. I used Trader Joe’s gluten free baking mix and they tasted wonderful. Thought I’d let everyone know. Can you make it the same way but without the chocolate chips? Thank you you are very helpful to everyone on here???? Hey, just put my first batch in the oven, reduced the flower like you said. I also used chopped walnuts instead of he chocolate chips. As well as added in a little peanut butter. My wife loves nutella, so i figured i would give these a shot… perhaps a get out of the dog house free card. So did you wife like them too? batch is out and set… I don’t like sweets very much if at all … But these cookies omg are good. A lot of my friends really like these and have told me they like that it isn’t too sweet. So glad you enjoy them! one question, do you beat the egg before adding to the flour? No you dont need to prebeat the egg, just mix it in with all the ingredients. You just make sure the dough is thoroughly mixed, so no egg streaks or flour streaks remain. I followed the recipe exactly…they looked fine, but didn’t taste good at all. Disappointing; they tasted like flour and had an odd, under baked cake texture. It sounds like you didn’t mix the dough thoroughly. I’ve made these dozens of times and it’s gotten great feedback. Since there is barely any flour, it shouldnt taste like flour. Can I use any type of flour? Like plain flour, hongkong flour etc? WOW!! Made these last night and omg they are so good, eating them for breakfast Lol. My boyfriend took a whole bunch to the dudes on his commercial fishing boat too. These are not the best. The chocolate chips save the recipe from being a complete fail. Even with the chocolate chips I won’t be remaking. That’s too bad you feel that way. Most people who have commented love it. Hi, can i use the oven toaster for this? I dont think it will work in a toaster oven. You need a regular oven. 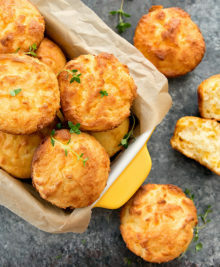 So I really want to make these but the only kind of flour I have is maseca it’s a corn flour , will that work? I’m not very familiar with that, but I don’t think it will work as this one uses all purpose flour. you dont need to add additional sugar. If you ad baking soda or powder the cookies will likely spread too much. I think the honey will make the dough really really sticky and maybe too wet. Thank you! I followed your recipe to the letter and it came out pretty amazing! Just made these for my family! They loved them!! My brother ate 3 out of the 12 cookies and had a hard time resisting a 4th. Thank you for sharing this recipe! Do you think that I could make these cookies using Biscoff/cookie butter? They look delicious! I think the Nutella version works better though because the Biscoff doesn’t stay together as well, but it’s worth trying out. I thought the tittle said eggless nutella cookies but I requires one egg ????????????????????????????????????????????????????????? I have a huge jar of Nutella so I’ve been looking for recipes to use it up. This was just too simple to not try. Glad I did! I followed the recipe and instructions to a tee–mixing well especially. I made these in a toaster oven (with convection capabilities) but made 6 big cookies to fit. I baked them about 12-15 minutes though I could’ve taken them about a minute or so earlier for a softer texture. But even so they’re chewy and fudgy and oh so delicious!! Definitely a keeper. And so easy! Can’t wait to make another batch. Leave it to me to fail at something so simple. I followed the recipe EXACTLY, yet my cookies turned into a thin, crisp puddle. I think perhaps my balls of dough were smaller, since it made about 16 cookies. Do you suppose that’s enough to make such a difference? Oven temp seems fairly accurate, since I get good results with other baking. Ideas? Hmm, I dont think smaller dough balls would cause that. You might try adding a little more flour. It sounds like you had too much Nutella or too little flour. Thanks. I’ll try that, though I did measure carefully. I wonder if my oven is perhaps running a bit hot, since over the years, with other ovens and other recipes, that has made cookies sort of puddle before they could bake. I also might try chilling the formed cookies on the cookie sheet for a few minutes. I’ll keep playing. Even my unsuccessful finished product was delicious, even if they weren’t the pretty cookies I was going to take as a housewarming gift. Sadly, I have to eat them myself. Lol. Oh, yeah you can def try chilling the dough first. And yeah, you might want to reduce the temp on your oven a little. Did you dough come together okay? I love eating them hot. Sometimes I burn my tongue! heh. But they do crumble easily when hot which is why I said in the direction to let them cool so they fully set. Make them with MnMs. REALLY GOOD! It shouldn’t. You should be able to use mixer, just make sure you don’t use too much power as that might make the dough too thin. Hey i made mine and after cooking it it is still soft. I left it to be cooled for 5-10 mins and it is still soft. Should i keep waiting or bake it again? It takes more than 5 to 10 minutes to cool actually. As long as they look done they should be done. They need about 1/2 hour to set. Thanks for a great and easy recipe! Made these for my college kid, boxed and mailed them. Do you know how long they would last? Hopefully as soon as he receives them they’ll disappear. I think they should be good for a few day. Your kid is lucky to have you sending baked treats! Do I have to use chocolate chips? Or can I just put the Nutella and that’s it. Or peanut butter . you dont have to put the chocolate chips. glad it came out well for you! I made this recipe with only small additions. I added chocolate chips for a more chocolaty taste and also vanilla and milk for a hint of more moisture. Let me just say, they came out AMAZING! Thanks for this recipe! Everything was fine, added just the right amount given but however when it was in the oven, it spread too much! Kind of flat, any idea why is it like that :(? You can try putting them in the fridge for about 30 minutes before you bake them if yours flatten too much. I’m not sure why that would happen as mine don’t, but it should help solve the problem. Oh good to know it works with almond flour! I would give it about an hour. I just made a double batch but used a 1/2 cup less of the nutella. I also used the chips and chopped hazelnuts. They are really yummy. Hi! I made a mix of half a bottle of nutella and oil for my fondue but then my dad mix it with milk so it became like a dough. What can I do to make them cookies? Thanks. Sorry, I don’t have an answer to that. I just made these cookies for my brothers and they both loved them. I didn’t try them but I’m sure they taste amazing. Thank you very much for the recipe. I can’t believe you resisted trying them! haha. Hmm, it sounds like maybe you had too much liquid, or maybe not everything is completely mixed. Hmmm, I’m not sure why it would turn out spongy. There have been many people who have left comments and made this very successfully…and many people who have made it and linked to it on their blogs. You may want to refrigerate your dough first. I haven’t had any issues with them and I’ve made them more than a dozen times. You may also want to add a touch more flour if you feel your dough is too oily. People are working in different settings with different equipment, so sometimes the recipes need to be slightly tweaked. I just baked this, used the exact measurements but my cookies turned shapeless while baking, taking the form of the whole rectangular pan 🙁 It tastes great tho but I have to cut them like super thin crispy brownies. 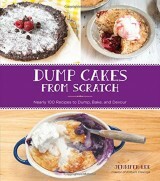 I guess it turned that way because I used an all-purpose gluten free baking flour from Bob’s Red Mill? Can you recommend a different gluten free flour? Aside from TJ’s cos its not available from where I am. I have never attempted this recipe with gluten free flour so I’m sorry I can’t provide you with a recommendation nor do I know if this even works properly with gluten free flour. But thanks anyway, I’m munching my cookies as I type. Chewy and yummy. Cheers from Manila, PH! I just tried these. They taste okay, but they remind me a bit of pop tarts. Shiny on the top and the texture is foamy. Did I do something wrong? I feel quite sure I followed the recipe really closely! Mmm, that doesn’t sound right at all. The cookies aren’t really shiny nor have they ever been foamy. Did you follow the recipe exactly or did you do any sort of substitutions? This didn’t work out for me. I followed the recipe and I got a similar result to the one who used GF flour. Flat, shapeless, and oily. My husband is more concerned that I wasted Nutella! LOL! Well, I used WW flour. Maybe that’s the difference? I am now trying a 2nd batch but in mini muffin cups. Just put them in the oven can’t wait to see what they will look like! These cookies are amazing!! 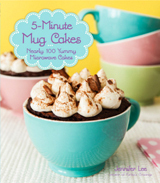 4 ingredients and 10 min to bake…how can you NOT make them??! For anyone on weight watchers (points plus), if you can manage to make 24 cookies from this batch (which is very possible), they are 3 points each! So worth it!!!! thanks for adding the weight watchers info! I agree, it’s sooo easy. how can you be too lazy to make these?? Hello from Poland:) I’m definitely gonna make the cookies tomorrow, I am just a little concerned about the ingredients, we happen to have some different types of flour and all here in Europe:) One question: 1/2cup+1tbsp – it seems really precise. I’m guessing it would be about 100g, right? Thnx! Hi, this recipe is very dependent on having the right flour and the right amount. I hope you can find something that is very similar to the plain or all purpose flour we have in the US. Also as for measurement, i believe 1 tbsp of all purpose is about 7.8 grams, so actually it will be about 70 grams, not 100. 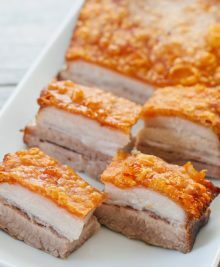 I want to make this recipe, but first I would like to know what I need to do to make them crispy? ?, I preferred crispy cookies. Sorry, this recipe isn’t made to be crispy. There would need to be quite a few changes to make it crispy. Do yo have an idea what can I do to make them crispy?? i just made it ! and its yum ! thankyou so much ! i put nuts and dry fruits instead of chocolate chips since you mentioned its already sweet ! thanks a ton ! glad these turned out well! These cookies are GREAT! I dare to say I am cookie snob. These cookies are really truly GREAT! Chill the dough. I chilled mine for a couple hours. That will prevent the spreading out some commenters refer to. I freeze my choclate chip cookie dough as well, so this wasn’t a new trick for me. I added a few more (1/4 cup) chocolate chips than the recipe called for. I don’t regret it. Thanks for the awesome addition to the cookie recipe world. Ohhh… Make sure you don’t over cook these – it’s a bad scene when they are. Error to the undercooked side. Equal parts oat flour and quinoa flour will work. You MUST freeze the dough balls before baking. Again – FREEZE the dough balls before baking. Hi I just made these cookies and they’re cooling right now. I noticed that they came out funny looking. There’s like oil around them and they actually didn’t spread. Do you know what might have gone wrong? Thanks for the recipe though! hmm, not spreading might be an issue of your nutella and flour ratio. Too much flour could cause them not to spread enough. OMG!!!!! these are literally the best cookies we’ve ever made!and WOW there only 4 freakin ingredients!!!! holy! thanks kirby!! Hi, I want to show you a picture of how mine turned out, but how do I do that? I am not quite sure if it’s right. I followed the directions. Came out to six cookies (I made slightly bigger rounds). They now look really flat and rough around the edges. They spread a great deal and look funny. I want them to look like your picture but… Haha! They’re cooling now, so I’ll update? Thanks for a simple recipe though! Hi! I was wondering, do I really have to refrigerate before baking? If so, how long? I hate to be the one to ruin all of these wonderful reviews but my cookies turned out as hard as hockey pucks. I baked them on 2 separate cookie sheets one was insulated that at least let you bite into it and the other not which could only be used to either dunk in tea or chopped up to decorate something else. I used the measured ingredients but right from the beginning it was hard to mix the flour and nutella which was not oily at all . It was rather stiff. Could it be that it was to old? Don’t know what I did but I picked this recipe to get the nutella off my shelf and have it easy. Sorry. Help? Comments? that’s great! so glad you liked them! Hi there, is it normal for oil to be forming up around the batter? And what should i do with the oil? And thanks for this awesome recipe by the way! the dough is oily but i’m not sure what you mean about oil forming up around the batter.